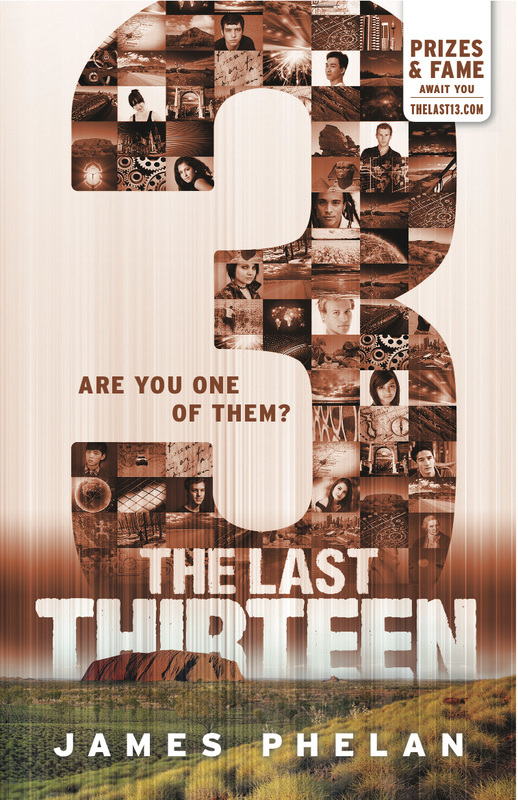 THE LAST THIRTEEN is a 13-part serialised thriller series for young readers (aimed at ages 8-15) and counts down from 13 to 1... this book, "3", is the 11th book in the series. On his voyage with Hans, Alex’s dreams grow ever-more powerful as he encounters pirates, deep-sea peril and the harshest climate on earth. He will need all his resourcefulness just to survive. hundreds of faces passing by me. coming from in the busy plaza. the most recognisable buildings in the world—the Sydney Opera House. Its huge white sails seem to sparkle in the sunlight, the dappled reflections of the nearby water making the glimmering walls look like they’re moving. There’s commotion in the crowd. Voices cry out and the crowd begins to disperse, running. They’re scattering in all directions—away from something. Or, rather, someone . . .
A black-clad figure blasts through the masses and is headed straight for me. of startled and screaming tourists. I am knocked to the ground in the stampede, but quickly get back to my feet and run up the wide stairs. I glance over my shoulder. Solaris is following, slowly and purposefully, yet somehow he’s gaining on me. I run towards the doors, trying to conjure up thoughts of something safe that might be beyond them— Lora with a team of Guardians, armed and ready, or Sam, there to lead us to a secret exit where a helicopter waits . . . The thought stops me in my tracks. Fire flashes again. My vision burns, blinding me, the ground beneath me circles, spinning fast. The screaming crowds, the tall buildings, the bustling city have disappeared. I look out into an expansive sky— the colours of the light have changed. Even the air feels different. And now I’m flying aboard a helicopter. I’m in a dream. I did this . . . I made this happen. I breathe in deeply, trying to not let the fear of being so high up overcome me. I turn to look at the pilot next to me. He’s big and strong, with long dark hair and dark skin. I don’t recognise him but I think that he must be a Guardian, though he’s not wearing the usual uniform. I notice a long scar zigzagging up his left arm. He sees me looking at him and points down at the ground. Reluctantly, I turn to look where he’s pointing, trying to look outwards, not downwards. Outside it seems like a different kind of bright. The sun is still on top of us, but the sky is a deeper blue and the ground below is burned orange and dusty. Everything seems so endless. My eyes focus on something tiny, far in the distance. As we near, I realise there is someone there. He is waving his arms over his head, signalling desperately to get our attention as we approach. Someone with short dark hair and glasses. We hover over this boy and I gasp in shock as I suddenly understand. Why is he wearing glasses? And what happened to his hair? What’s going on? I give him a shaky thumbs up, my other hand beside me clinging tightly to the edge of the seat. I feel my heart rate accelerate as we go through the manoeuvre, my head spinning as the ground twirls closer in the helicopter’s ever tighter turns. I see Sam again as we pivot around, still waving at us. At first I think he’s smiling, but as I get a longer look, I see his mouth is moving. He’s saying something—no, shouting something. I feel a cold shiver run down my spine. Sam’s not waving at us. back. There’s another aircraft out there in the sky, another helicopter. It’s painted in military greens and browns, with its side doors open. I can see it’s loaded with weapons— missiles and heavy machine guns. I’ve seen a helicopter like this before . . . in the Alps. There’s a bright flash and a plume of smoke streaks across the brilliant blue sky. The missile heads in a straight line towards us. I’ve seen this before too. There seems little hope of escape. I know how this ends. framed glasses. One of the lenses is cracked and his hair is as black as mine. He’s running next to me. It’s dark and our path is lit only by Sam’s flashlight. I’m moving as fast as Sam is, but I frown in confusion because I know I’m not running. I look around in the darkness and am startled to realise the helicopter pilot is carrying me, cradled in his arms like a small child, as he runs alongside Sam. ‘What . . . happened?’ I ask. ‘Then how did we . . ?’ My mind is blank. I try to shake the confusion clear but I still can’t recall. I lean upwards a little to look behind us and can see the glow of a large fire. It feels as though my arms and legs are not mine. I try to move them but I can’t. ‘What happened?’ I ask again. It’s night now and there are more stars in the sky than I have ever seen. ‘We have to get out of here,’ Sam repeats. ‘Where are we?’ I ask. I look around the horizon. There’s nothing to see, nothing but . . .
Something ahead glows in the darkness, illuminated by powerful spotlights. Huge white structures, like golf balls. It looks like a space station, like I’m on the moon or another planet or something. ‘Why are we running?’ I say to Sam. evasive answers, but I look down. Hanging on my dream- catcher necklace is a shiny object. Even in the dim light I know immediately what it is. It’s unlike any that I have seen before in the race. ‘How’d I get this?’ I ask. ‘We were hoping you could tell us,’ Sam says. ‘Where are we?’ I ask. I turn around and, clutching the Gear, I close my eyes to concentrate. Go back, Eva. See it all. From the start. How’d you get here? Where’d you find this Gear? See it all. Every step, so that you will know where to go in the waking world. You can do this . . . control it. But my elation is short-lived, replaced instead by panic when I realise that this time, I’m on top of the Opera House, way, way up high. I crouch down and my arms fling out to hold onto something—anything—to steady myself. The height makes my head spin and my heart race. The strong wind buffeting me makes the terrifying distance from the ground worse. I start to breathe, fast and furious, but then hold my breath completely at the sound of something familiar.